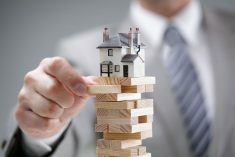 Andy Haldane, Chief Economist at the Bank of England, caused a few raised eyebrows recently when in a Sunday Times interview he suggested that “property is a better bet for retirement than a pension”. His argument was largely based on the notion that if demand for housing continues to outstrip supply, as it has done for many years, then house prices are “relentlessly heading north”. One of the reasons he gave was that “… given the scale of uncertainty over long-run real [inflation-adjusted] returns on assets, I would not favour over-weighing to any one asset class, while recognising that a balanced investment portfolio can be exposed to property.” In other words, do not put all, or most, of your eggs in one basket. You probably already have considerable exposure to the residential property market through the ownership of your home. Retirement planning – is property the answer? Mr Haldane’s view will certainly be shared by many people, but Mr Bailey’s reservations make sound investment sense. It is easy to forget after the past few years of rising house prices that property values do not always rise. Nationwide’s figures show that for the UK as a whole, it was not until the second quarter of 2014 that the average house price overhauled the peak set in the third quarter of 2007. Adjust for inflation and the date moves out even further. So, should you invest in property or not? As ever, the answer to this depends entirely on each individual’s circumstances. For some, it is the perfect solution; for others, weighting investments towards pensions is a better course of action. For bespoke retirement planning advice, please get in touch with the team at Hartsfield.